Maybe you’re a Dallas homeowner who’s in the throes of a divorce, or maybe you just need the cash quickly; either way, prepping your home, even for a quick sale, is an absolute must. Selling your home “as is” will lower your price considerably. Home stagers claim that potential buyers make up their minds about your home within 15 seconds of seeing it — and that’s including the time it takes to get from the curb to the door! It’s not just hype, either. Science tells us that we usually make up our minds on anything new within 15 seconds. But guess what? Those home stagers cost money and take time. And as far as selling with an agent goes, you’ll spend an average of about $12,500 in the process, the vast majority of which is your agent’s commission. Prepping your home yourself usually costs an average of $2,500 to $3,000 and involves things that you can do right now, without too much trouble. These small steps will definitely pay off as extra cash when the house is sold. Besides, if you want a quick sale, that first impression is everything. Here are seven easy and inexpensive steps you can take right now. This is actually one of the first things any good home stager will do when attempting to present your house to the public. 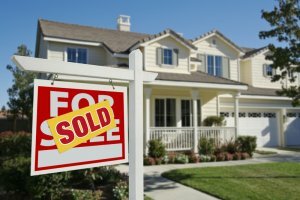 Preparing a home for sale is about more than just making it look good; you have to find a balance between a barely furnished home and the house you actually live in. It’s about leaving just enough space for the potential buyer to see themselves and their vision in it. A good rule of thumb is to take out two-thirds of whatever you have on shelves and in closets. Think about it as pre-packing. Leave the bare essentials and definitely get rid of anything on the floor or in a hallway or doorway that can obstruct a buyer’s potential vision for their own house. Place any furniture that isn’t necessary in storage. Leave everything open and airy, and leave just enough furniture in each room to make it look lived-in. Less is definitely more here. Wash your walls. Mop the floors. Clean the carpets — not just with a vacuum but with a deep steam cleaner. All those cleaning projects you’ve been meaning to put off need to be done, now, including things that you don’t think of often, such as the curtains or the upholstery. The windows should be immaculate, and the floor should sparkle. Replace the HVAC air filters. Dust and polish all the furniture and keep it that way while your house is on the market. You may not have the time or budget to repair every single thing that’s wrong with your house, but there’s a bunch of little things that you can do that will definitely improve your first impression — and as we’ve learned, first impressions are everything for a quick sale. The leaky faucet, the broken light fixture, the troublesome appliance. No matter what room it’s in, you’ll find that all those unimportant little side projects are now front and center. Realtors agree that a fresh coat of paint makes a huge difference in selling a house, not just outside but in. To be on the safe side, you want to go with neutral colors: various shades of browns and tans, grays and whites. The last thing you want to do is impose your own style on the house. Stripping your style out is part of the process. You want the potential buyer to feel that they can put their own stamp on things. You also want to consider stripping carpet off of any floor that’s aren’t in the bedroom, steaming your wallpaper off the walls, and painting over wood paneling. The style remnants of an earlier era are the worst. The idea is to make it feel like a blank slate, stylistically. 5. What About the Floors? You’ll want to wash and wax the floors, of course. You’ll also want to take a look at how they come across in general. You’re not going to rip out all your flooring and replace it with hardwood, but if you’ve got a nice wood floor under that tile or carpet, you’ll want to let it show. If there are any weaknesses in your floor, shore those up now. Floors make a bigger impression than anything else on the inside of your home. Studies show, over and over again, that these two rooms more than any other are what really sell a home. It matters what you have in there. Don’t waste time worrying about what’s trending. Remember, you want a blank slate. Certain classic looks are always good to go with, like stainless steel fixtures and granite or quartz countertops. The cleaning you usually give these rooms isn’t enough, either. This is one time you’ll need to go top to bottom, as unappealing as that might sound. Remodeling before a quick sale is a bad idea. Something as cheap as new fixtures actually go a long way towards improving the look of your kitchen and bathroom. Curb appeal is everything, and it takes up about half of those 15 seconds in which buyers will form an impression. Roof repairs are an absolute must, unless you want a serious dent in the asking price. If you don’t slap a coat of paint on the outside, you’ll definitely want to pressure wash absolutely everything, including the sidewalk and porch — and keep it clean! Don’t just cut the yard, edge it and trim it. Use the outside lighting and the windows to create an effect that’s warm and inviting. You may be in a rush to get rid of your home, but that’s all the more reason to start moving out of it now or at least make it look as if you are. Think of your home as a hotel room of sorts — it’s got all the amenities, it looks good, but it’s waiting for a new owner. You want to pretend that selling your home is a done deal and a process you’re already halfway through. Make your home look generic enough so that it seems already in transition, and you’ll have a quick sale and a fistful of cash in no time! Wow! Never knew about the 15-second rule, but it does make sense. First impressions are the strongest, so if curb appeal does not warrant a pause, you can bet the potential buyer won’t even enter the front door! I’ve also been told that it’s a good idea in the decluttering process to remove family pictures. Buyers need to see THEIR family living there, not yours.